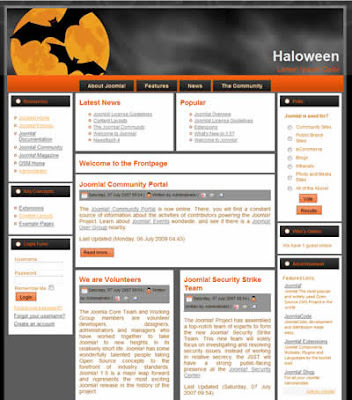 Free Joomla Halloween template with black and orange color scheme ready for download. 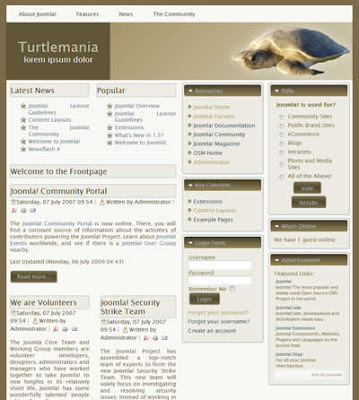 Template is CSS and XHTML valid and has 22 modules position. 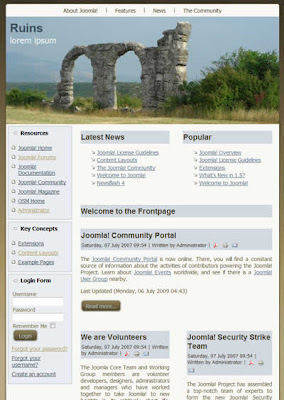 This free Joomla 1.5template has man content in the center columns and sidebars are on the left and right. Three column fixed width free Joomla template with horizontal navigation bar on the top and wooden background. This rounded corners free Joomla business CSS template has main content placed into the center column and sidebars left and right. Template has fixed width and it is 100% css and xhtml valid. Free Joomla CSS template with horizontal navigation bar on the top. 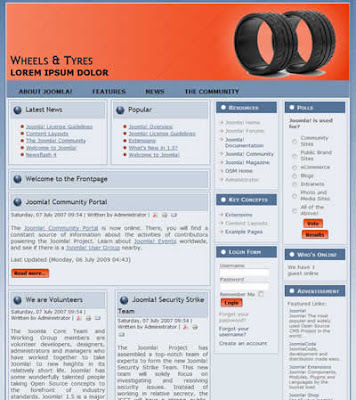 This free Joomla 1.5 template has main content in the left column, two sidebars on the right and blue gradient background, it is suitable for computer related blog or tech business website. Template is css and xhtml valid. 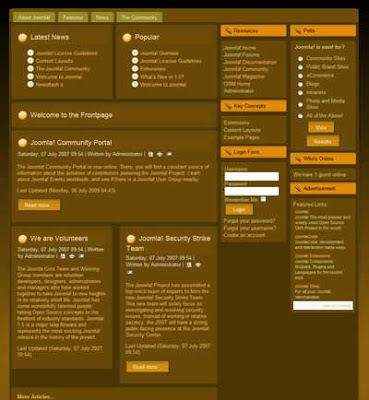 Free 3 column tableless Joomla 1.5 template with navigation bar on the top and brown header available for download. This free Joomla template is suitable for personal blog or for business website. 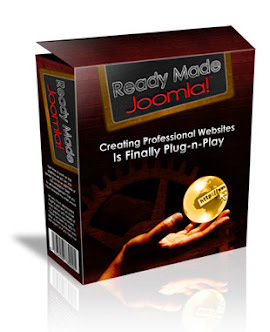 Template has 22 modules positions, and is xhtml and css valid. 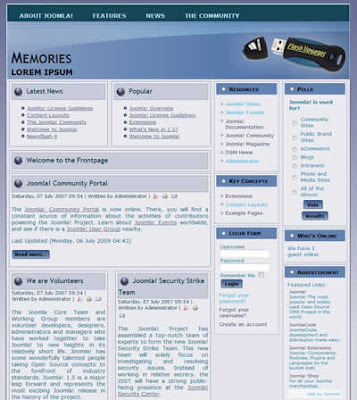 Three column free Joomla 1.5 template which can be used as a blog or a business website available for download. This free Joomla template has slightly rounded corners, tabbed navigation bar on the top, main content in the left column, two sidebars on the right and brown color scheme. 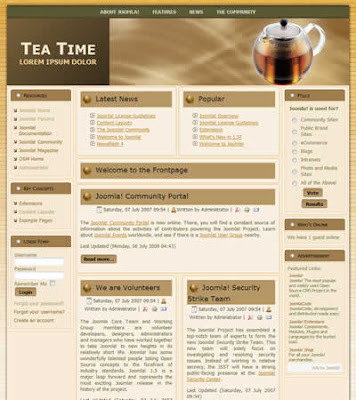 Nice two column Joomla 1.5 template with navigation bar on the top. This free Joomla template has fixed width, sidebar in the left column, main content in the right column, wooden background and 22 modules positions. Template is suitable for various website projects.